Amy’s ordeal began when she simply fell out with a clique of girls. The situation steadily worsened and she faced constant online bullying as well as being physically attacked in class. Gangs started to follow her home, and the family house and car were damaged. Neither the police nor school seemed able to do anything. Under this terrible strain, Amy began to break down. After months of sleeplessness and extreme anxiety, she said she’d begun to hear voices in her head. Her mother sought medical help. Instead of being offered counseling and social support, Amy was diagnosed by a psychiatrist as having ‘first-rank schizophrenia’, which means she had signs of the condition. Susan was initially skeptical, but was so anxious to get help she reluctantly agreed to Amy being given medication – this was Risperdal, an antipsychotic that changes the way chemicals in the brain work. Although Amy’s ‘schizophrenic’ symptoms were relieved, she was bullied even more. Worried, Susan researched the drug. “The official information said it had never been trialled on children. I was shocked. Amy wanted to come off it, so I agreed” she said. Worryingly, Amy seemed to relapse, suffering from hallucinations again. “But in fact, she was suffering withdrawal symptoms from the drug,” says Susan. After weeks of agony, the symptoms began to subside. The solution to her problems was to move school. Susan is full of scorn for the psychiatric community’s readiness to label children as mentally ill then give them powerful and potentially damaging drugs. She’s become a vociferous critic on the subject, appearing at conferences and pressure groups. She is particularly dismissive of the way psychiatrists often make their diagnosis using the profession’s ‘bible’ – the Diagnostic and Statistical Manual (DSM), just published in its fifth version (DSM-5). The manual is written by an influential committee of American psychiatrists and lists official diagnoses and symptoms – its clinical definitions are used by professionals the world over as a guide for labelling psychiatric illnesses, and giving drug treatment. One of the major criticisms is that the number of new psychiatric diagnoses added to it is rising exponentially. In 1952, the manual was 130 pages long. The fifth edition has 992 pages. And this latest edition has controversially added new diagnoses such as ‘Disruptive Mood Dysregulation Disorder’, which essentially makes children’s temper tantrums a mental illness. Critics believe the manuals are “disease mongering” – inventing labels for conditions that don’t really exist, but are normal, albeit difficult, facets of human nature. One might expect such skepticism from a mother with a bad experience of the psychiatric profession. But the fact is that spiraling numbers of children are being diagnosed with “mental health problems” that may often be merely behavioral. Let’s look at ADHD as an example. According to the Royal Australasian College of Physicians, ADHD affects about 6.8 per cent of Australian children. Other estimates suggest the prevalence rate among 6 to 17-year-olds in Australia is around 11 per cent. Recent British figures show that 650,000 children between the ages of eight and 13 are on the drug Ritalin for ADHD. The New York Times reported that 11 per cent of American children have been diagnosed with ADHD. Now, one of the world’s leading psychiatrists has blown the lid off this burgeoning problem. Dr Allen Frances chaired the taskforce that wrote the previous version of the DSM, in 1994. At the time, he was described by the New York Times as “the most powerful psychiatrist in America”. But now he admits his version of the manual helped open the floodgates for an epidemic of over-diagnosis of children’s mental illness and mass over-medication, with potentially devastating side-effects. “In the past 20 years, diagnosis rates of Attention Deficit Hyperactivity Disorder have tripled, while autistic disorder and childhood bipolar disorder have each increased by a remarkable 40-fold,” says Dr Frances, an emeritus professor at Duke University School of Medicine in South Carolina. Allen Frances is particularly worried by the new addition to DSM-5 of Disruptive Mood Dysregulation Disorder. “The idea of turning temper tantrums into a mental disorder is terrible,” he says. He fears the latest edition will make the problem even worse. The result has been a bonanza for the pharmaceutical industry. For example over the past 20 years, the worldwide value of the market for ADHD drugs alone has grown from $18 million to $18 billion a year. And the long-term effects of these drugs on children remains a perilous unknown, because rigorous safety checks were not performed on children before the medicines were launched. “It is a mass public health experiment that has been done without anyone’s informed consent,” says Dr Frances. “We have no idea about the long-term effects. The fear is that Ritalin-type medications are so similar to amphetamine or cocaine they create addictive yearnings in young brains that may lead to later drug abuse. There are also concerns that ADHD medication damages young brains in similar ways to cocaine which, ironically, may make them into impulsive and antisocial adults. Dr Frances is particularly worried by the new addition to DSM-5 of Disruptive Mood Dysregulation Disorder. 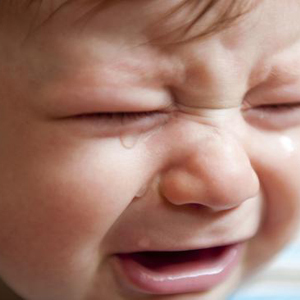 “The idea of turning temper tantrums into a mental disorder is terrible,” he says. Furthermore, “the criteria for diagnosing it were pretty much conjured out of thin air”. Tellingly, in France, where they shun the DSM, the proportion of kids diagnosed and medicated for ADHD is less than half a per cent. In Britain it’s around 4 per cent. It is estimated one in every 100 Australian children is on medication to treat ADHD symptoms. The Royal College of Psychiatrists is keen to play down the influence of the manual, claiming that they pair the DSM information with “another set of psychiatric-illness classifications – the International Classification of Disease, which is published by the World Health Organisation,” says a spokeswoman. In the meantime there is more medication on the way. In February drug regulators in the UK granted a license for a new class of ADHD drug, Elvanse, approved for children six and older who haven’t responded to Ritalin-type medication, despite a list of known side-effects, such as anxiety, weight loss, stunted growth and heart problems. The drug is not yet available in Australia but is also licensed in Canada.